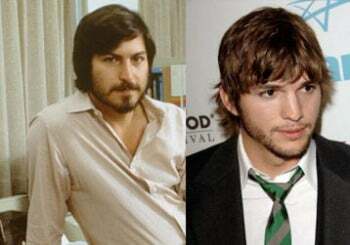 Ashton Kutcher to Play Apple's Steve Jobs in Indie Movie? Hollywood actor Ashton Kutcher is set to play the role of Apple’s Steve Jobs in an independent movie, according to reports from Variety and Hollywood Reporter. The actor, who has more than 10 million followers on Twitter, has yet to confirm the role in the flick. The Two and a Half Men star is best known for comedy roles, but he has tried his hand at drama before, including The Butterfly Effect. Writer, director, and actor Joshua Michael Stern will reportedly direct the Steve Jobs biopic titled “Jobs” from a script by Matt Whiteley, with production starting in May, while Kutcher is on hiatus from his hit CBS series. Jobs is set to chronicle the meteoric rise of Apple’s co-founder from Northern California hippie, as he became one of the most revered entrepreneurs of our time. Mark Hulme from the Five Star Institute, a Dallas-based mortgage industry group, is financing and will produce the movie. The movie is reported to focus mainly on Jobs’ early years, rather than on the period after he returned to Apple and turned the company around. The latter would be explored in a separate Steve Jobs biopic from Sony, which snapped up the film rights for Walter Isaacson’s authorized biography of Jobs, published shortly after his death in October 2011.